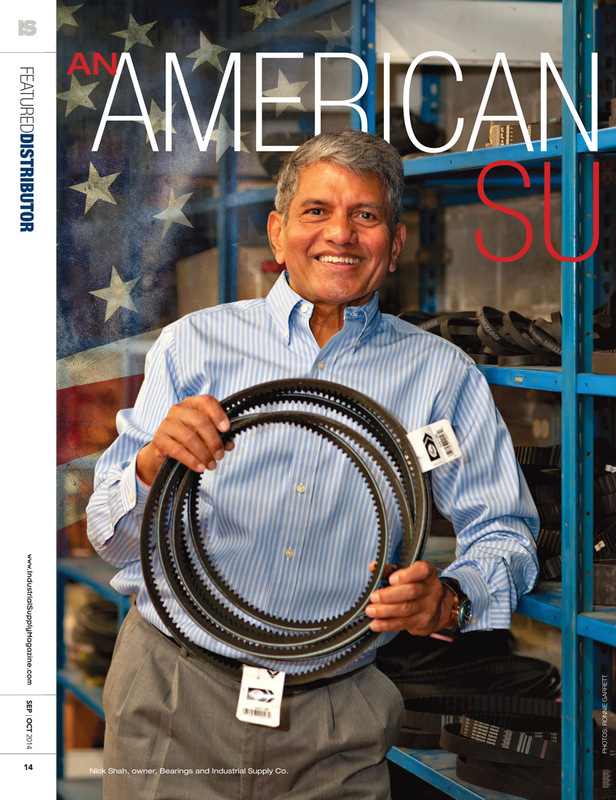 About Bearings & Industrial Supply Co., Inc. - Addison, Illinois - Bearings & Industrial Supply Co., Inc.
ABOUT BEARINGS & Industrial Supply Co., INC.
"Big Enough to Serve You, Small Enough to Appreciate You"
Founded in 1982 by our current president Nick Shah, Bearings and Industrial Supply is the embodiment of our leader: hardworking, honest, and successful. Nick came to the United States in 1966 with nothing other than his passion for succeeding and an iron-clad work ethic. These qualities proved to be what were needed to became the first distributor in the Addison area. The company remains family-owned today, with two of Nick’s daughters currently employed in leadership positions. Nick’s success and ingenuity gained the attention of people outside of the industrial world. In 1993, former President Bill Clinton invited Nick to the White House to witness the signing of the North American Free Trade Agreement. Then in 1998, Nick was honored by the St. Louis Minority Business Council, which presented him with the Minority Businessman of the Year award. Most recently Bearings & Industrial Supply was featured in the September/October 2014 issue of Industrial Supply magazine (see below). In addition to his high business acumen, Nick also possesses unparalleled technical and industry knowledge. This was exemplified by his key role in helping Boeing design a bearing used in the C-17 Globemaster III military transport aircraft. In addition to Boeing, Bearings and Industrial has maintained high-end clients such as Toyota, Rolls Royce, and the Chicago Transit Authority. Although Bearings and Industrial carries over 1M in inventory, the level of service they bring to every transaction requires immediate access to inventory throughout the nation. With this foresight, Nick Shah strategically partnered with five other distributors within the first few years of his business to create the Independent Distributors Cooperative (IDC). Since then IDC has grown to 300 members nationwide with two large distribution centers. This and other relationships have allowed BIS competitive pricing and availability to the advantage of their customers. In addition to these partnerships, BIS senior level staff has over 80 years combined experience and product knowledge. In line with their service standards, they make these resources available to their customers 24/7. Bearings & Industrial Supply Co., Inc.